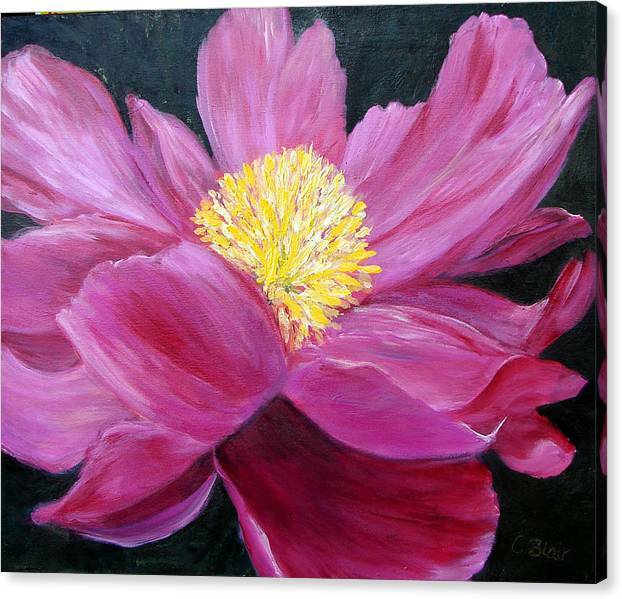 Pink Passion by Cynthia Blair - 24.000" x 20.000"
Pink Passion canvas print by Cynthia Blair. Bring your artwork to life with the texture and depth of a stretched canvas print. Your image gets printed onto one of our premium canvases and then stretched on a wooden frame of 1.5" x 1.5" stretcher bars (gallery wrap) or 5/8" x 5/8" stretcher bars (museum wrap). Your canvas print will be delivered to you "ready to hang" with pre-attached hanging wire, mounting hooks, and nails. ..Cynthia Blair�s work is strongly influenced by the rich and colourful landscapes of the Killarney, Algonquin and Georgian Bay areas . Light reflecting on water is a common thread in many of her landscpe paintings. It isn�t unusual to see Cynthia in her kayak or out on the trails searching for inspiration. 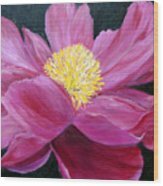 Many of her paintings are done Plein Air, no matter the weather or season. 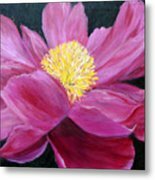 Bold, vibrant florals are also one of her familiar subjects, often creating a close-up view of the flower. 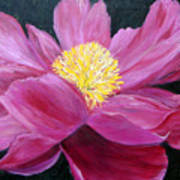 Cynthia paints primarily in oil or acrylic on canvas. She also welcomes special projects and commissions .